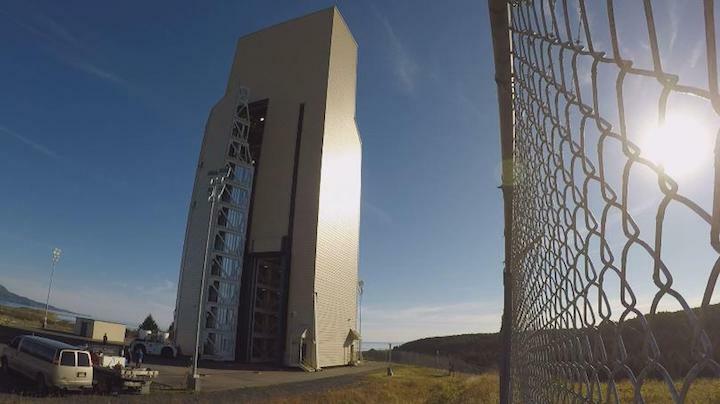 KODIAK, Alaska (KTUU) — In the middle of the Alaskan wilderness sits a place where commercial and military rockets are launched every year: the Pacific Spaceport Complex Alaska, formerly known as the Kodiak Launch Complex. "Everybody identifies Alaska for great fishing, great hunting, great hiking and grand views," said Craig Campbell, President and CEO of Alaska Aerospace Corp. "They never think of a spaceport." In Kodiak, however, you'll find both the pristine beauty of Alaska's largest island, and get a glimpse of rockets launching from a 3,700-acre range overseen by the State of Alaska. "What we do," Campbell said, "is launch both government and commercial rockets that have satellites on board into space." The multi-use spaceport complex, technically located at Narrow Cape, is considered one of only four premier spaceport complex's in the entire United States. "It's a one-of-a-kind state-of-the-art facility," said Bruce Walter, Dir. of Facilities for the complex. Of 20 launches at the site since 1996, 19 have been under the direction of the United States government. "We don't launch weapons here, we don't store weapons here, we don't have military operations," Campbell said, "but the government can come up here and launch something they're testing to see if it works." Campbell added that he primarily sees growth in the near future in the commercial sector, particularly as Alaska attempts to diversify its standing portfolio. "I think it's important that citizens of Alaska know they have an aerospace company that's expanding aerospace development in our state," he said. From here, the sky isn't the limit, but the new frontier.